put your questions to our Brexit panel. 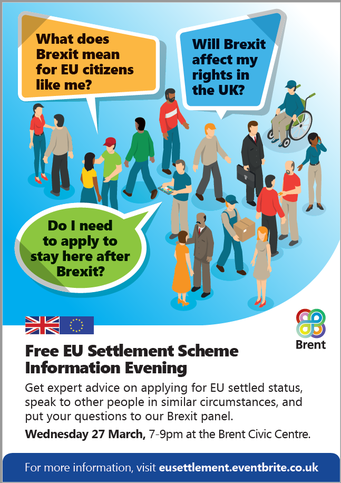 Wednesday 27 March, 7-9pm at the Brent Civic Centre. Do I need to apply to stay here after Brexit?